Comments This spellbinding dazzler of a gem, with marvellous clarity, just leaves one spellbound with its impact! The single feature that makes this emerald different is that is is a cushion mixed cut which is quite a rarity as most of the Emeralds are fashioned into the conventional octagonal cut or ovals. The cushion cuts adds to the lustre of this gemstone.The bright rich colour of the gem faithfully represents all that Mercury is about! Add to that the spectacular cut and the fact that it is untreated and fully natural from the Colombian mines of Coscuez, and this becomes one potent gem! Set in this classy and simple ring, not to take away the dazzle of the gem! Another proud moment for us at Gemstoneuniverse.com! 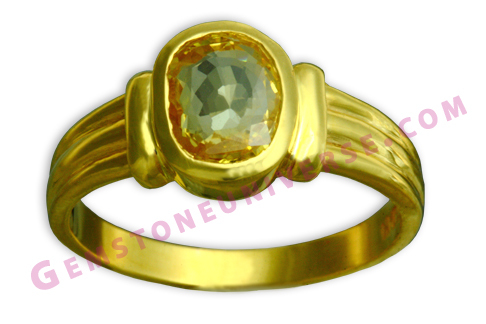 Comments This fully natural untreated Ceylonese Yellow Sapphire gemstone is so pure and Eye clean, that it just radiates with Sattvik Jyotish powers of the pure planet – Jupiter! This pure gemstone of the pure planet set in this solid gold ring just spells good luck and good fortune – the qualities Jupiter represents! A talisman that gave both the patron and us equal pleasure! Stars and their favourite Gemstones-The Gemstones of the Iconic Amitabh Bachchan!. Amitabh Bachchan and his Blue Sapphire and emerald! 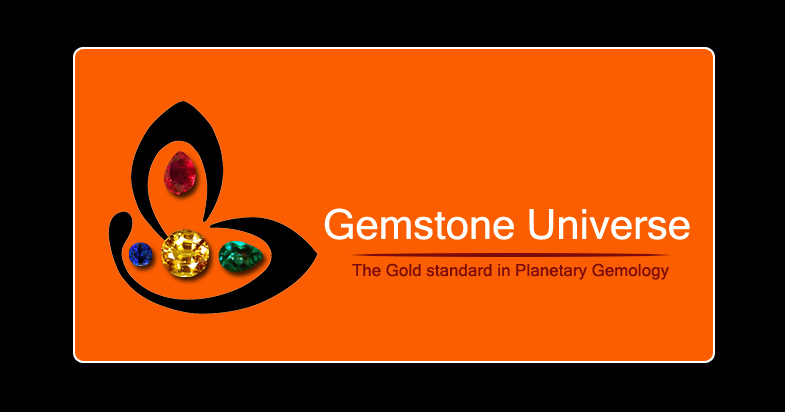 A Gemstoneuniverse.com special on the star’s birthday today! Amitabh Bachchan (Hindi: अमिताभ बच्चन, pronounced [əmɪˈtaːbʱ ˈbətːʃən], born Amitabh Harivansh Bachchan on 11 October 1942), is an Indian film actor. He first gained popularity in the early 1970s as the “angry young man” of Bollywood cinema, and has since become one of the most prominent figures in the history of Indian cinema. Bachchan has won numerous major awards in his career, including four National Film Awards, three of which are in the Best Actor category, and thirteen Filmfare Awards. He holds the record for most number of Best Actor and Best Supporting Actor nominations at the Filmfare Awards. In addition to acting, Bachchan has worked as a playback singer, film producer and television presenter, and was an elected member of the Indian Parliament from 1984 to 1987. Amitabh Bachchan is a fascinating character and so are his gemstones. The much loved icon of Hindi cinema and a global figure wears a combination of Emerald, Blue Sapphires and an Opal. Go through the video link below to see how in an understated and a graceful manner Mr. Bachchan explains how his gemstones have given him celestial help and how the support of God has helped him during his trials and tribulations. 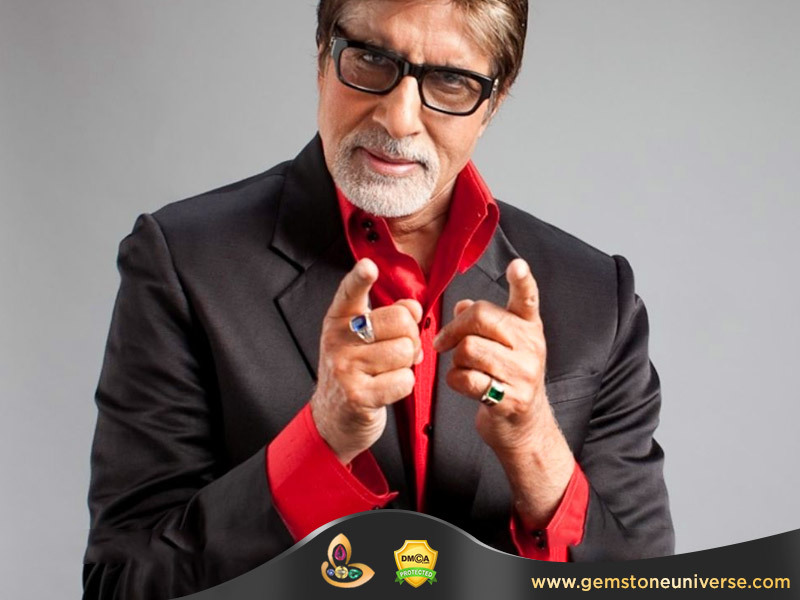 Mr Bachchan clearly states in the interview that his gemstones have Astrological significance!. Hats off to you Mr. Bachchan! You are gracious, dignified, astute and truthful! The combination of Opal, Blue Sapphire and emerald is a classical combination that represents the powerful trinity of Venus, Mercury and Saturn. Mr Bachchan adopted gemstone therapy after the debacle of Miss World contest and since then has never looked back. 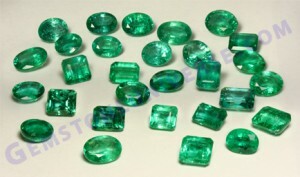 1) Do not be ashamed of your gemstones. They are your best friends. Be proud of them and there is no need to be embarrassed about their use for astrological significance. When Mr Bachchan has no problem why should you! 2) Look at the correct implementation of Gem therapy. Mr Amitabh Bachchan is wearing two blue sapphires of smaller weight but of exceptional clarity and color instead of wearing one big gemstone that compromises on clarity and color. Always give precedence to lack of treatment, clarity and color than to carat weight. On his birthday Today, we at Gemstoneuniverse wish Mr, Bachchan the very best and pray for his good health and long life. May he continue to rule the hearts of people and entertain and enthral the audiences! Comments The patron was sure minded about the fact that he wanted a Mayur Neelam only and we knew exactly what he meant! The colour and glow of a Mayur Neelam / Peacock blue sapphire is so alluring that once it is beheld it is hard to let go! Brimming with Sattvik Saturn energies, this unheated and fully natural Montana Blue Sapphire is what we call a Jyotish quality ENTRY LEVEL gem! The standard that we have set is so above the others that even such rare and exotic beauties come under the Entry Level! 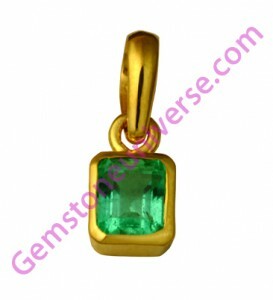 To read more about the Entry level gemstones click here.Note: This gracious patron gave us a lovely testimonial. Thank You so much. It motivates us to do better. Again, these will be made available at a price that will delight our patrons and leave some other bewildered. Gemstoneuniverse.com Table of Ruby Gemstone Facts! Comments What Joy! The power of Sun reflecting in all its glory in this Majestic untreated and fully Natural Ruby from Mozambique! This is a talisman that turned out just what the Sun reflects- POWER! Look closely and it looks as if the Sun itself is glowing in the Gemstone! 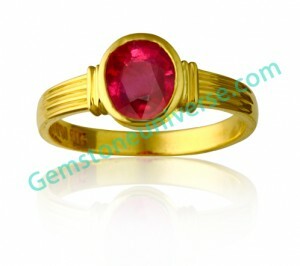 Ruby the gemstone of Royalty, just like the planetary energy it represents – SUN, the Royal and Majestic planet! Selected Rings, Pendants and Talismans made available to Gemstoneuniverse.com patrons in October 2010. Comments Moon has been an object of beauty and serenity from time immemorial! Diana was the Roman goddess of the Moon. She presided over the hunt and childbirth, among other things. She was known as Luna in her incarnation as Moon goddess. Hence the word LUNAR, meaning everything concerned with the Moon. This talisman reflects all those Lunar energies that Moon offers! This talisman left the patron serenely satisfied! 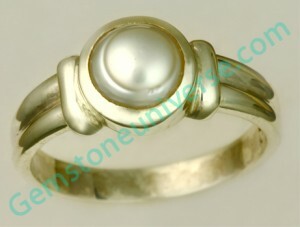 Gemstoneuniverse.com Table of Cat’s Eye Gem Facts! Comments Among many other benefits Cat’s Eye brings back Nasht Lakshmi-Lost wealth. Powerful people the word over keep cat’s Eye in their vault. It is a gemstone of adventure and unexpected results. 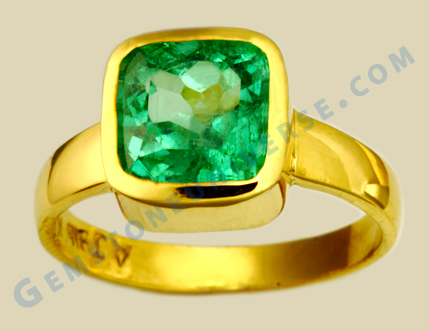 It is this precise reason that it is a favourite Gemstone for Gamblers and those involved in speculative fields! 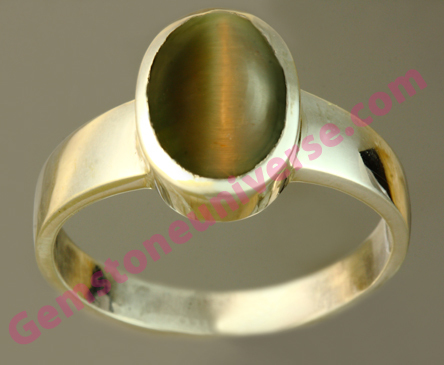 This Dhoom Khet Cats Eye set in this simple and straightforward silver ring is such a pleasing sight! Gemstoneuniverse.com Table of Iolite Gem Facts. 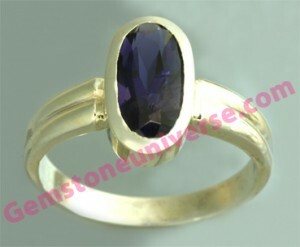 Comments The Bluish Violet shade of Iolite is much sought after especially when clarity levels are exceptional. 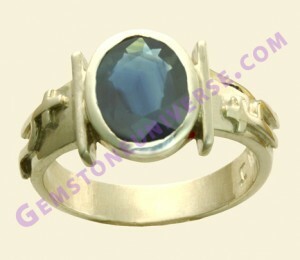 Iolite gives very good results as a substitute of Blue Sapphires. Some individuals find it as fast acting and as potent as a Blue Sapphire. This untreated and fully natural Iolite from Madagascar looks so ready to deliver the best results of Saturn, set in this understated dual stem sterling silver ring!